There was an error in terms of beneficiaries in relation to government standards per shallw well. According to Government standards, 1 shallow well should only serve upto 125 people and not 250 people. 250 people is for a deep well of about 45m. 2 wells dug protected and fitted with Malda Pumps in Nyalugwe village, instead of 1 well, and none in Jeke village as it was originally planned. However people in Jeke have still benefited from other sources. In order to support and sustain the water project over time, each community is responsible for collecting a total of $100 annually from water users, totaling $600 for all 6 communities. Each community management committee has come up with the amount that each household must pay per month. This is to ensure that the community has adequate funds for purchase of spare parts for routine mantenance and repairing of the pump. Furthermore, each community has a 10 member committe which has been trained in operation and maintenance. Lastly, Water For People will have a team of volunteers who will conduct monitoring of the projects every year to determine functionality, use, quantity and quality of the water systems, latrines and household hygiene. This will allow for transparency, accountability and follow-up on all Water For People projects. Chikwawa is located 50 km (30 miles) south of Blantyre, the commercial capital of Malawi. According to the 1998 Population and Housing Census, Chikwawa District has a total population of 356,682 people, which is about 3.4% of the national population. Of the 74.1% of the population in Chikwawa that are economically active, the majority of them are subsistence farmers. Prone to flooding as well as drought, Chikwawa District is among the worst affected areas by famine. Floods in Chikwawa have destroyed the livelihoods of thousands of farming families by wiping out much-needed maize crops and livestock. The crocodile-infested Shire River runs through the District posing serious danger for women as they collect water. 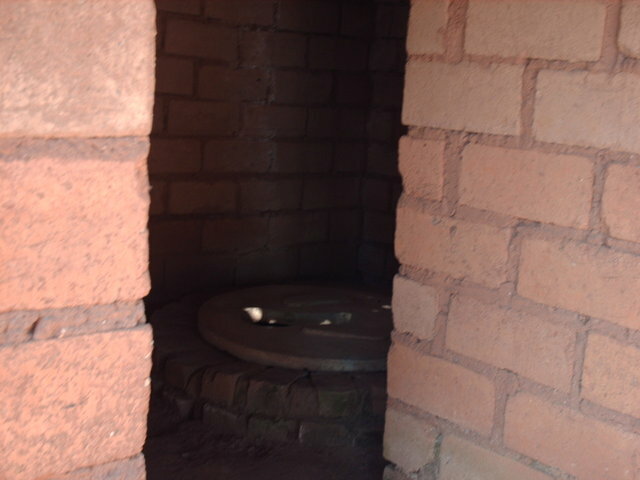 As mentioned above, the area has the lowest water and sanitation coverage rates in the entire Southern Region of Malawi. Ã¢â‚¬Â¢ Develop a long-term Memorandum of Understanding with the Chikwawa District Assembly that leads to increased water and sanitation coverage in the District and an increase in the functionality of systems in the District over time. Ã¢â‚¬Â¢ Develop a long-term Memorandum of Understanding with a local NGO and a local private sector company that clarifies roles and responsibilities of all parties and indicates how Water For PeopleÃ¢â‚¬â€Malawi will enhance their capacity to support sustainable community-based water supply and sanitation. Ã¢â‚¬Â¢ Provision of water services for 4,340 people in line with government policy. Ã¢â‚¬Â¢ Increased coverage of improved sanitation for 8,860 people in line with government policy. Ã¢â‚¬Â¢ Rehabilitation of failed water systems. Ã¢â‚¬Â¢ Initiate steps to address the spare parts gaps in Chikwawa and have a plan of action for increasing access to spares in the District by the end of the year. Communities understand their wells better and what it takes to have safe water. This is so because being a shallow well project, the communities actively partcipated in the digging on the wells, linning and the other usual civil work, unlike when its machine drilled, communities are more involved in decision making on siting, planning and the the final civil works, but not the drilling. 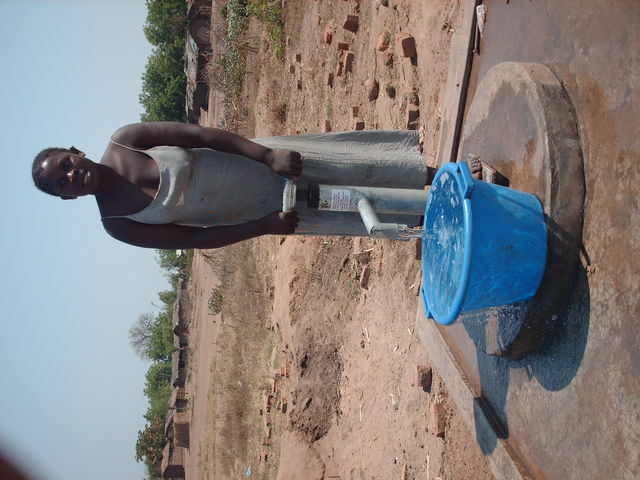 Where shallow wells are possible, its very cost effective to protect shallow wells for provision of safe water. 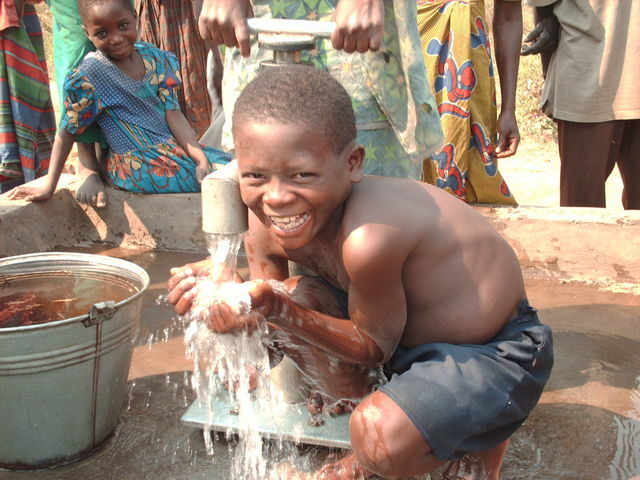 Out of the 750 that are benefitting from the wells, 50% are School -age going children. Although none of the 6 shallow wells was installed at a school institution. In each of the six communities (listed above), 55 household latrines have been constructed, for a total of 330 latrines. These are eco-san latrines and to be more specific, Arbor Loos. On avearge each latrine serves five people, thus a total of 1650 beneficiaries for the 6 communities. The latrines were constructed with the support of Sanitation Promoters. The Project has trained 10 Sanitation Promoters (Masons) in Sanitation marketing and Sanitation and Hygiene Promotion. The promoters have also been equiped with different sanitation technologies which they can offer to the communities. Government extension staff from the villages have also been trained in Hygiene promotion methods. A hygiene improvement program is integral to this project and focuses on improving key hygiene behaviors, especially ensuring safe household drinking water, proper hand-washing hygiene, and effective use of sanitation/safe disposal of feces. Government extension workers have been trained in hygiene promotion techniques using Participatory Hygiene and Sanitation Transformation methods. These government extension workers and the Sanitation and Hygiene Promoters have held 2 mass media campagnes in each community. Music, drama and poems were used to disseminate the Hygiene messages. 100 leaf lets on proper use of Eco-san Latrines, 60 Posters on hand washing/water handling have also been distributed.